Last week, FNAF World launched on Steam early, surprising everyone. A day later, Scott Cawthon, its developer, apologized for rushing the game and pushing it out on Steam without important features. And today, the game has been taken off of Steam entirely. 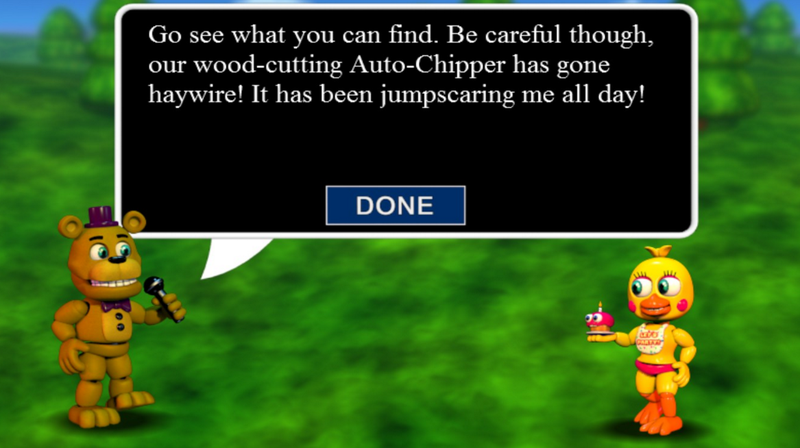 Hi everyone, I wanted to make a post about the fate of FNaF World. Even though the game had a “Very Positive” rating with 87%, I was not satisfied with the reviews and ratings it was getting. For that reason, I’ve decided to remove the game from Steam. I’ve also asked Valve to make it so that the game can be refunded regardless of the amount of the time it has been owned, meaning that anyone can get a refund at any time. It may take them a while to set that up, but it will be in place soon. I’m still going to work on FNaF World and polish it up. I’m busy creating a fully 3D overworld for the game. When I’m ready to update the game, I will replace the demo currently on GameJolt with the full game. From this point forward, the game will always be free. That doesn’t mean development will cease, however. Cawthon is planning to continue working on the game, and will later release it for free on Game Jolt. It’s a great move that will work well towards restoring goodwill in the franchise, which was shaken a bit after the initial release of FNAF World. Here’s hoping that the finished game will be an improvement over what Cawthon originally put out, as the original game was kind of terrible.